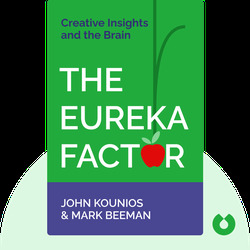 The Eureka Factor (2015) looks at the remarkable phenomena of insights and creativity, and how the two are intertwined. By laying out the latest scientific research, it sheds light on how insights work, including what supports and hinders them. 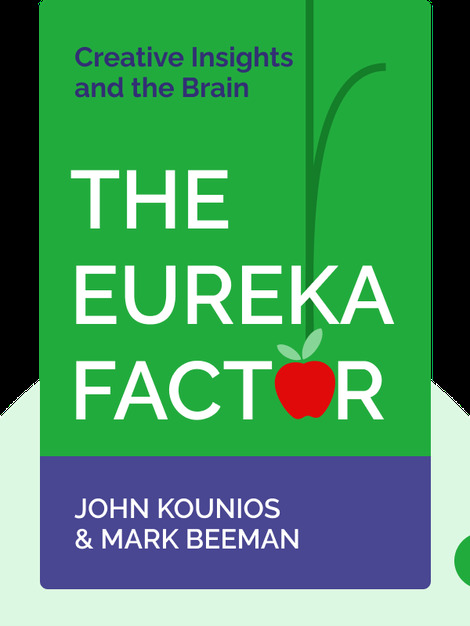 In addition, it provides powerful advice on how everyone can train themselves to have more eureka moments. John Kounios is Professor of Psychology at Drexel University and is a specialist in neuroscientific research on insight, creativity and memory. His findings have been reported on by publications such as Scientific American, The Wall Street Journal and the New Yorker. Mark Beeman is Professor of Psychology and Neuroscience at Northwestern University and has worked extensively within the field of creative problem solving and creative cognition.